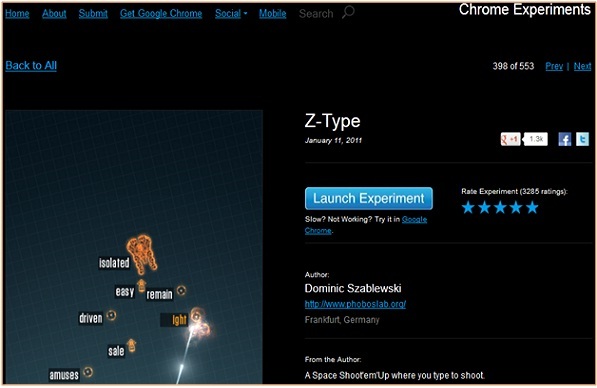 Google chrome experiment, as the name suggests, is the Google’s project aimed at showcasing latest browser related technology and how it can be used. Everyone knows that Google Chrome is the most popular internet browser in use today. However what we don’t know or don’t realize is that the latest versions of Google Chrome are the penultimate outputs gained by of combination of the latest browser technology. With the advent of newer technologies such as HTML5, Canvas, SVG, and WebGl, latest internet browsers are actively reshaping the way we experience internet. 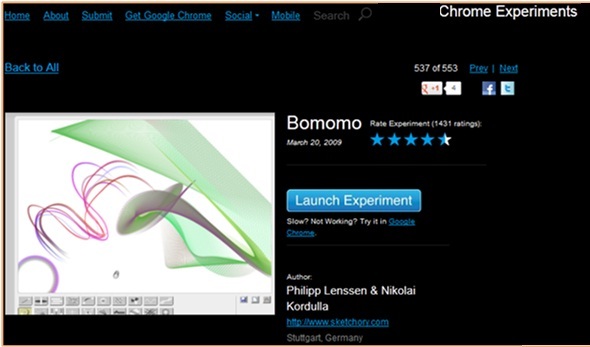 Chrome experiment is the play ground and stadium of highly creative programmers and artists who demonstrate their talent and at the same time highlight unique things that could be done with the browser technology and in unique ways. Most of these experiments are made in above mentioned technologies. 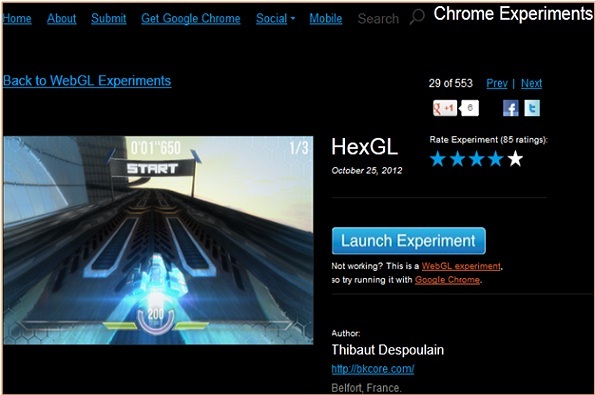 Users can view these experiments on the Chrome experiment site http://www.chromeexperiments.com/ and can even rate these experiments. 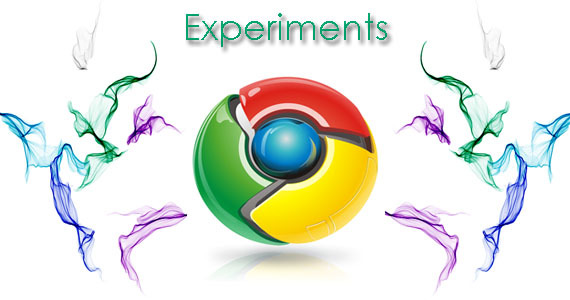 There were 547 chrome experiments on 1st December 2012 and Google claims that it adds at least one experiment per week. All these experiments are unique in some way and none of it utilizes non-browser technologies, like macromedia flash, to render animations and interactive interfaces. Twitch is a small but entertaining puzzle game that requires some skills. The game is itself a series of small puzzles that are incorporated in connected small chrome windows. You have to solve 10 different levels and have to it as fast as possible to get a competitive score. 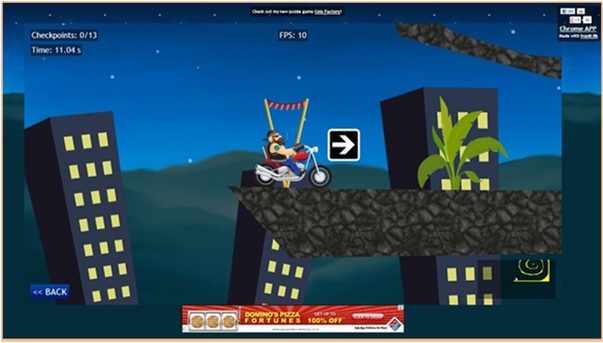 Made of Google chrome multi windows and Java script, the game was one of the earliest showcased experiments and is still quite popular. 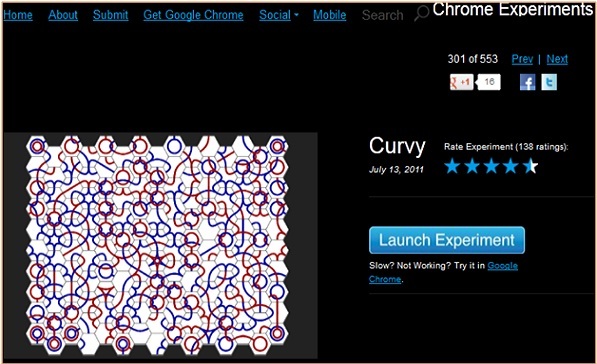 Curvy is complex puzzle using a simple idea. The main aim of the game is to connect the red and blue lines to make a continuous loop without an end point. To do that, you have to click on the hexagonal blocks to rotate the direction of the paths and connect them into continuous loops. It may sound simple, but if you increase the difficulty it will become really challenging. A picture speaks a thousand words, however a 3-D interactive model can answer a thousand questions. 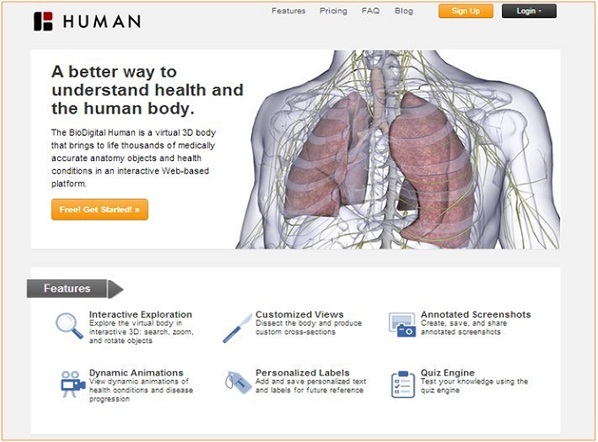 Keeping this in mind, BioDigital Team from New York, has launched bio digital human. It’s a chrome experiment that is made using WebGL technology and aims at presenting a detailed 3-d model of human highlighting all its internal structures such as organs, nerves, bones, etc. It is now a full-fledged project that is very useful to trainee doctors and other biology enthusiasts. “20 things I learned about browsers and the web” is a chrome experiment made by the Google team that aims at teaching non technical people about web browser and internet. It is an interactive program that is both entertaining and informative. Ever wondered how our sun looked from across the galaxy, well you don’t need to wonder any more. You can visit this chrome experiment and find out just how vast our galaxy is which stars are our neighbors in Milky Way. Made using WebGl, the project is very useful in visualizing our solar system and our galaxy as a whole. One of the earliest products of WebGL technology, WebGl globe is a 3-D globe that could be used to depicts various forms of global data such as population, flight traffic, underground water data and numerous other things. 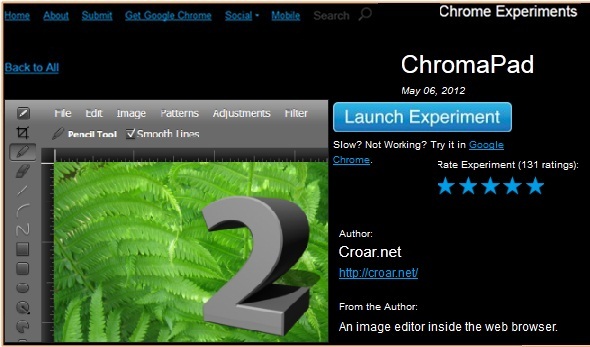 This chrome experiment is a base of many other chrome experiments and an technological achievement in itself. The largest project utilizing WebGL technology, Maps WebGl is an extension of Google maps that renders the maps using WebGl technology. It decreases the loading time of the maps and makes zooming in and zooming out smoother. It is a useful drawing tool having a variety of special brushes that could be used to create simple designs. The tool includes brushes that can simulate pencil sketches, web patterns, fur patterns, metallic chrome pattern, ribbons pattern, and some more interesting patterns. It’s an extremely useful tool for creating stylish memes or patterns. Silk is an interactive tool to create a work of art. A project focusing on generative silk like patterns, the tool utilizes HTML5, Canvas, and Web Audio technology to give a complete artistic ambience. One of the best parts of this program is its interactive background music that changes according to pattern type, color and length. It is a really useful tool to make attractive background and wallpapers. Another artistic tool to make a work of art. This is also a tool that uses generative patterns, but in a design of neon flame like particles. The brush could be customized to give a desired output and make creative and attractive banners, backgrounds, and wallpapers.